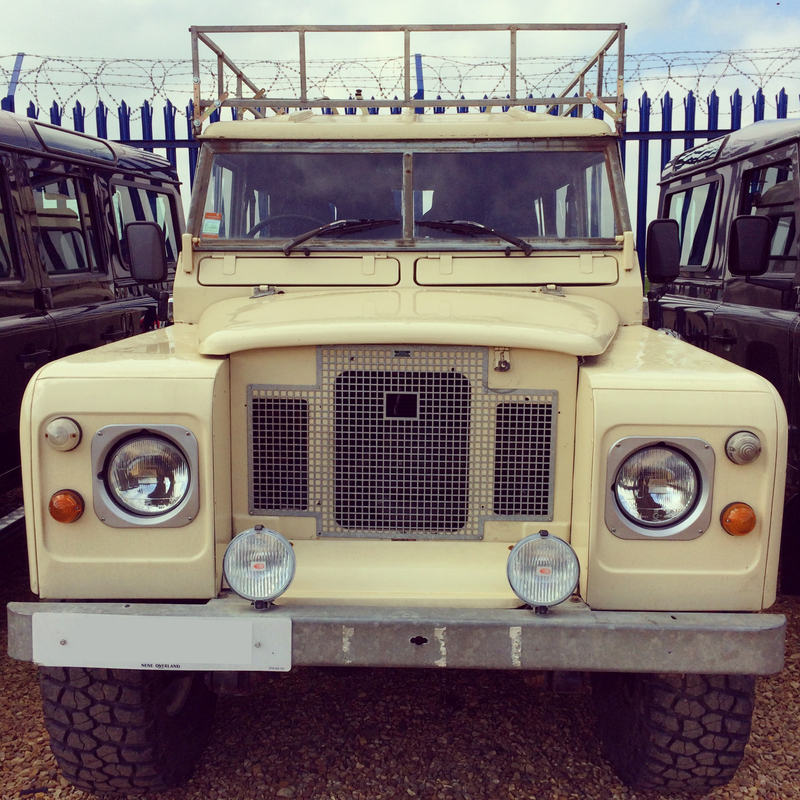 On Tuesday, we were overjoyed to finally pick up the Defender from Newark Port! It had been a long wait, so we were relieved when we finally saw it in the flesh and it was all in one piece! 2015 is the last year that Land Rover will be producing Defenders, and so this trip is a tribute to the car that has probably done the most exploring of any motor vehicle. This post may not interest a lot of our readers, but for anyone who is thinking about importing a Land Rover (or any other car) into the USA, we wanted to document the process. 2) EPA Exemption: Since our car is non-conforming to USA safety standards (steering wheel is on the wrong side!) we had to also apply for exemption from the EPA’s standards. I believe that all cars have to apply for this even if you think the car would fulfil all requirements. To do this, you send a request letter with car and driver details and trip plans to the EPA, and they hopefully approve and send you a letter confirming! You have to send them the proof of re-export when the vehicle leaves the country, otherwise you are issued a huge fine! 3) Import Bond: This was a BIG question that was on our mind for a long time and we didn’t get a clear answer to until very late in our planning! in some cases, US Customs will charge an import bond (deposit) when the car arrives, as a guarantee that you will not sell/leave the vehicle in the USA. This is normal charged at 1.5x the value of the car! So in our case if would have been much more than we could afford… In doing all of our research, both on USA government websites and hearing from people who had done similar trips, we could not get a definitive answer from anyone about whether we would have to post a bond or not… and obviously this was a huge consideration as to whether we would be able to go ahead with the import or not. Finally, through our shipping company, we were put in touch with an import broker, who, after asking us the year, make and value of the vehicle, told us that we would not have to pay a bond. I really have no idea whether other cars would have to post a bond. The official guide on “temporary imports as a non residents” says that no bond is required, but it is down to the discretion of the customs officer… so it best to get a definitive answer from an import specialist. 4) Shipping: We got several quotes from shipping companies to ship from Southampton to New York. We decided to go with Kingstown Shipping, since they gave us the most information with contacts for insurance and import brokers. They were also the most reasonably priced with great service! The other companies just told us “not to worry”, one gave us wrong information, and just seemed interested in getting our business no matter what. We used “Roll on Roll off”, since it is also cheaper. But you can also book a whole container if you have other items to ship. (With RoRo you are not allowed to pack the car with any personal items) We had to arrange a haulier to pick up the car from the UK since we were still in Hong Kong, and Kingstown Shipping were happy to arrange that for us. We scheduled a shipping for the 11th April, and the car was delivered to the port on Friday 10th with no hassle. The shipping company issued a Bill of Lading once the car was on the ship and the vessel had sailed. Their fees covered the haulier, the port fees/terminal handling and the shipping. 5) Import Broker: US Customs requires two forms to be filled out and submitted upon arrival. Thankfully we were put in touch with Flora and Fauna import brokers who made the process extremely simple for us! “There is no legal requirement for you to hire a Customs broker to clear your goods. However, many importers opt to do so for the convenience.” [Procedures for Importing Vehicles and Engines into the US, EPA 2010] I don’t know how you would go about submitting this by yourself, so would definitely recommend using a broker house! We had to submit a power of attorney that allowed Flora and Fauna to act on our behalf. The two forms they submitted for us were the CBP and the EPA 3520-1. Each of these forms needed information from the shipping company, from us, and from the broker. You need to elect an address where the car will be “Shipped” to. Although we had no permanent address in the USA, we were able to use a friend’s home as the car address, and this also served as the address for the insurance (see below). The Import Broker contacted us once the car had arrived, and once it had cleared customs. Their fees covered the Customs charges (Department of Transportation and EPA), filing fees, terminal handling and their own legal fees. They would have also assisted in bond posting if we had needed it. 6) Marine insurance: We got insurance for the period that the car was on the ship with Towergate Insurance. This was very straightforward; they just require the value of the vehicle and the cost of the shipping, and can process very quickly. 7) Delays: The car was supposed to arrive into New York on the 21st April. So we planned to arrive on the 18th, so that we would have a couple of days to get over jet lag and sort out insurance etc. But we got an email on the 20th that the vehicle wasn’t going to arrive until the 26th, and that it could take some time to clear customs! Thankfully, it only took two days to clear customs, but it still put us a week behind schedule. It could have been much longer, and so be prepared to have to wait. 8) Insurance: From the research I had done, it didn’t sound like getting insurance was going to be either difficult or overly expensive. But it turned out it was both! The difficulty is that the car is never registered in any state, and most insurance companies need the car to be registered in the state that they insure you from. But since the car retains its international (in our case UK) registration, a lot of companies had no idea what to do with us! And we both have international drivers licenses, so companies in the US cannot see driving history, which puts premiums up. Finally, we spoke to an agent at AAA who found us insurance through Progressive. I had already spoken to a Progressive agent who said they couldn’t insure us, but the AAA agent found something for us! You can get either just liability (which is the legal minimum) or full coverage. We opted for full coverage, otherwise you’re not covered for any damage to your car. This ended up costing quite a bit more than we had budgeted, but we have peace of mind which is worth so much! 9) Pickup: Picking up the car was a relatively straightforward procedure. The import broker forwarded the Delivery Order once the car had cleared customs, and gave us the address of the port. Thankfully a friend drove us to the port, otherwise it would have been a long walk from the closest bus stop! The port is huge, so we had to find the right office and dock. Once inside, we handed the Delivery Order to the officer, who took a copy along with a copy of my passport, and sent us to the next office to process the release. This took about an hour, but was just a case of waiting for them to finalise paperwork. Then off we drove! 10) Carnet De Passage: This is a document that is honoured in many countries in place of an import bond. It is used especially in Africa, South America and parts of Asia. The USA does not honour the Carnet de Passage system. We looked into this for going into Canada, but we would have still had to make a large deposit to the Carnet Office in the UK (the RAC) and so we decided against it. So there is no point in obtaining a Carnet de Passage for driving the USA. 11) Diesel: America loves petrol! There are not that many diesel cars here; of course trucks use diesel here, but not all gas stations have diesel available. So we are gonna have to make sure we don’t get caught in the middle of nowhere with no diesel. It’s legal to carry extra fuel tanks here, but make sure you get the right colour – Red is petrol, Yellow is diesel. Total: US$3500 approx, plus return shipping. To return the car to the UK, we will have to pay shipping, port fees and marine insurance, which should be similar prices, but always budget for the unexpected! requires that written approval must be obtained prior to importation. “O;” and attach the EPA letter of exemption.